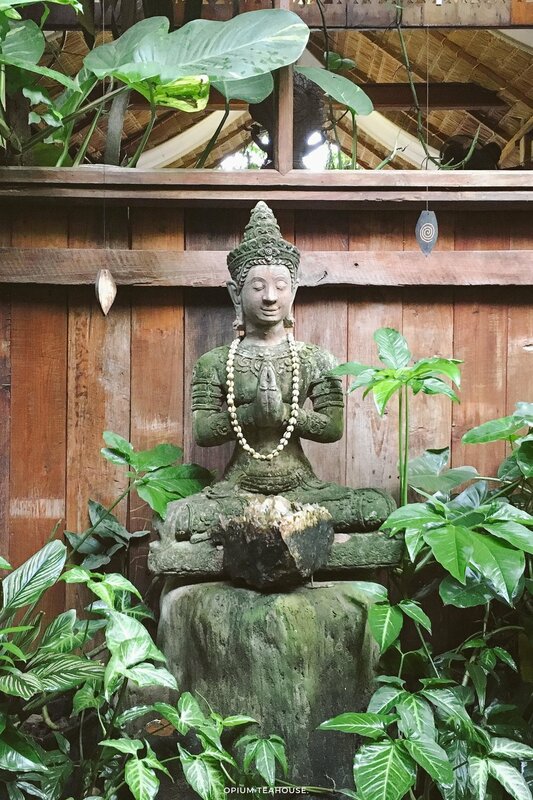 30 Days in Thailand [Itinerary] — Opium Teahouse. "Oh, yeah. I hate pigeons too!" said Ananya as she drove us through Bangkok's rush hour to her apartment in Silom. We were on Soi Si Bamphen, where motorcycle, cars and pedestrians share the narrow concrete lane with street food vendors and shops. Amidst the colourful chaos of signs of Thai script, a rounded minimalist sign read "I hate pigeons", drawing attention to the glass window front with a row of beer bottles below it. Our itinerary of the Land of Smiles started in Bangkok. And it became clear straight away that it was a place of severe contrasts. High rise buildings, with pristine entrances and views to the city, shared neighbourhoods with low, decaying buildings and dirty alleys. But as the journey progressed, first to Chiang Mai and Pai in the north and then to the islands of the Andaman Sea, something dawned on me. Thailand is like the four-faced Brahma. Each area province has its own vibe making it impossible to define the country has a whole. Instead, enjoy the differences and change in pace from area to area. Always with a mango smoothie in hand. Beginning of high season. Attractions and points of interest such as temples will be busy with tourists, as well as the island resorts. Bustling Bangkok offers an endless range of accommodation that can prove to be a challenge for first-time visitors. We wanted to be out of the main areas like Old Town, Siam or Chinatown but still well connected enough to reach what interested us. We stayed in Ananya’s great AirBnb, that had a pool, in a residential area of Silom and in walking distance to Lumpini Park. Day by day we explored the city dividing it into areas: Old Town for the Grand Palace and Wat Pho; Siam for Jim Thompson’s house and the mega-malls; Chinatown for the night markets and colourful evening neons. On our first day, we took the BTS to Saphan Taksin Station to get the local boat from Sathorn Pier up to the Grand Palace. It was a detour and it took longer, but it was a great introduction to city landscape and a glimpsing into Bangkok of yesteryear. We also took a day trip to Ayutthaya and visited the UNESCO archaeological park containing palaces, temples and monasteries from the XII Century. Boarding the 6 pm night train at Hua Lamphong station in Bangkok, we woke up with the train pulling into Chiang Mai at around 6 am the day after. After checking in at the amazing Top Garden Guesthouse, we set off to explore the city. 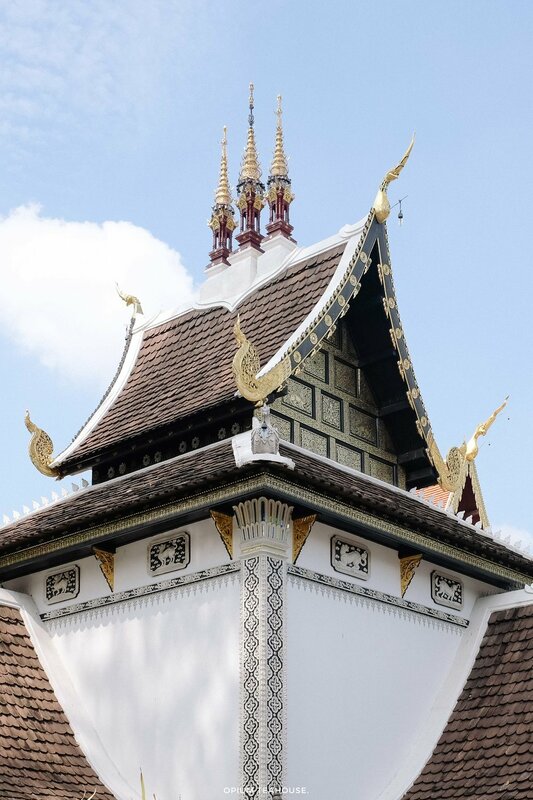 The days spent in Chiang Mai were filled with a mix of temple hopping, eating all the amazing veggie food and checking out the city’s coffee scene. We also did a cooking course, took a day trip to Chiang Rai’s White Temple and enjoyed the Loi Krathong festivities. To escape city life we boarded the minivan and took on the infamous Pai road. The few days in this sleepy town were spent exploring the natural scenery of the region. Waterfalls, Canyons and rice fields provided a much need rest from the traffic and temples of Chiang Mai. The last leg of our Thailand itinerary was spent island hopping. Allowing at least a week to properly explore each island is necessary as moving around takes time. Ferries can be regular, one per hour to the popular islands, or 2 a day for the more remote ones. We flew from Chiang Mai to Krabi and stayed the night in order to make a connection the Koh Ngai in the morning. Because smaller islands require a longtail boat connection from the ferry to the shore, the journey must be done during daylight hours. There is no electricity on longtail boats. Starting with the most remote island, Koh Ngai, we made our way north to Koh Lanta, Koh Phi Phi for a sleep aboard tour of Maya Bay, and lastly Phuket Old Town. The night train to Chaing Mai is extremely popular and tickets sell out fast. We used the services of 12Go Asia to buy the tickets and picked them up in Bangkok the day before travelling. 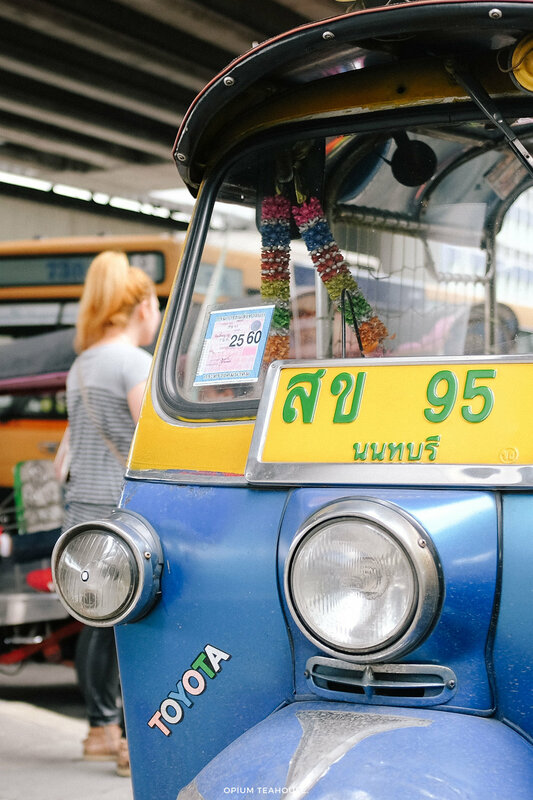 The arrivals in Chiang Mai are full of Tuk Tuk drivers that will take you to the city for a fixed fee. Walk a couple of blocs from the station if you prefer to negotiate your price. Veggie or travelling with dietary restrictions? Check out Vegan guide to Thailand.